The Texas lieutenant governor, speaking two days after 10 people were killed in a school shooting in his state, said abortion, divorce and violent video games and movies show that 'we have devalued life,' which he pointed to as a cause of school shootings. Republican Lt. Gov. Dan Patrick told ABC News Chief Anchor George Stephanopoulos on "This Week" Sunday, "We have devalued life, whether it's through abortion, whether it's the breakup of families, through violent movies, and particularly violent video games." Texas Lt. 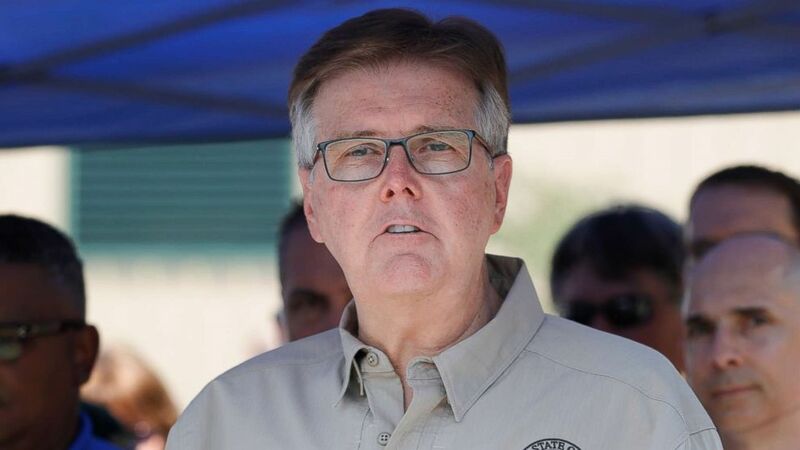 Governor Dan Patrick speaks during a press conference about the shooting incident at Santa Fe High School, May 18, 2018 in Santa Fe, Texas. Stephanopoulos asked, “But when we look inward, sir, aren't we going to find that guns are more available here in greater numbers, in greater lethality, than any other developed country in the world?" Stephanopoulos also asked Patrick about his comment Friday that “there are too many entrances and too many exits” on school campuses in Texas. Immediately following Patrick on "This Week" came Fred Guttenberg, whose 14-year-old daughter, Jaime, was among the 17 people killed in a school massacre earlier this year in Parkland, Florida. 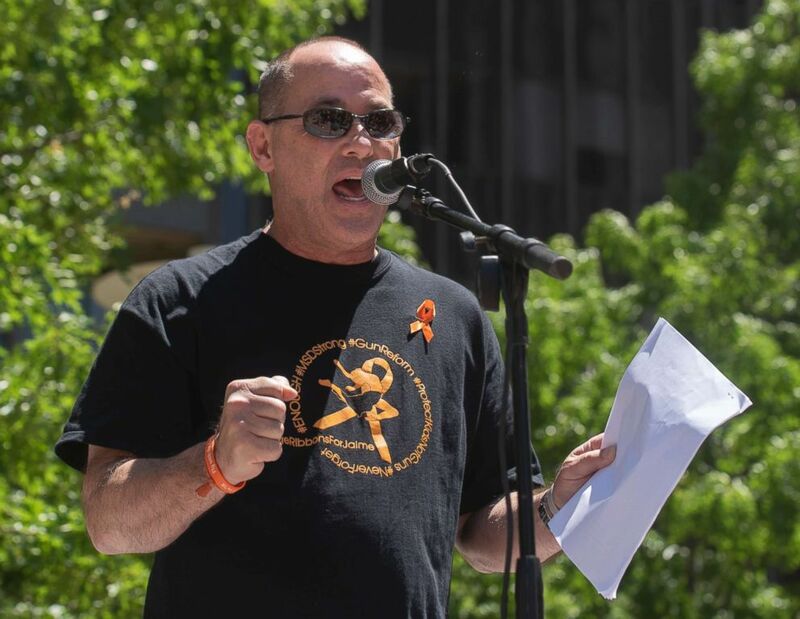 Fred Guttenberg, who's daughter was killed in the Parkland Fla. shooting, speaks during a protest against the National Rifle Association in Dallas, May 5, 2018. Eight students and two adults were killed and 13 others injured in a shooting rampage at Santa Fe High School in southeast Texas on Friday morning. A 17-year-old student is the suspect. Appearing with Guttenberg was another parent of a child who died in a school shooting. 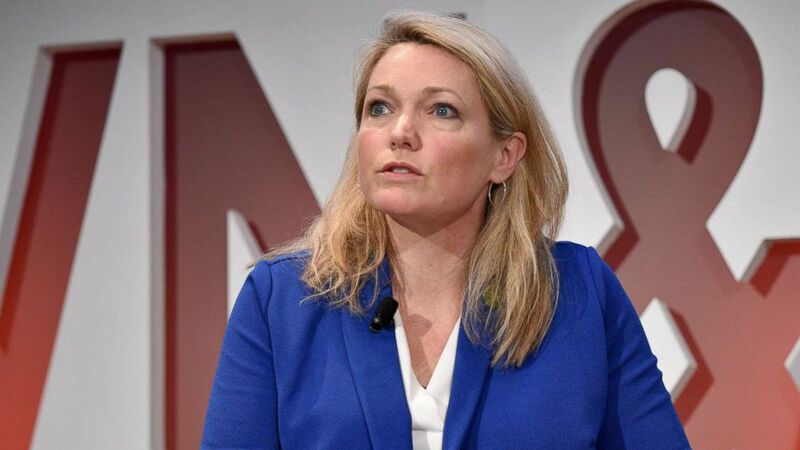 Sandy Hook Promise Founder and Managing Director Nicole Hockley speaks onstage during the Fifth Annual Town & Country Philanthropy Summit on May 9, 2018 in New York City. “The fact that this shooting [in Santa Fe, Texas] has not received a significant amount of coverage, that this shooting is not seeing a significant amount of action, to me that is devaluing life itself. There are 10 people who are dead who are not going back to their families,” Hockley said.